Iran denounces plans by Brazil’s newly elected president to move embassy to Jerusalem, but says relations with Brazil will continue. 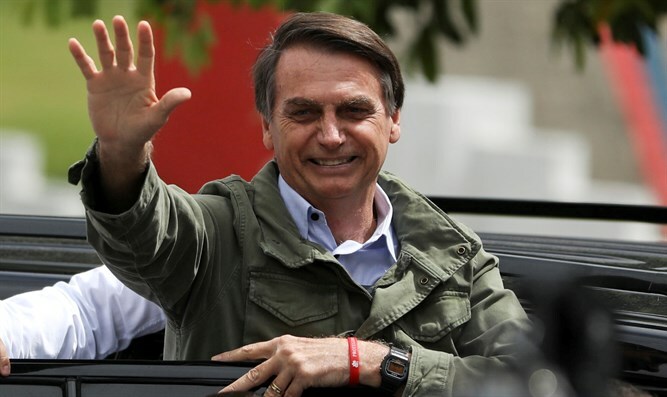 Iran on Monday denounced plans by Brazil’s newly elected president, Jair Bolsonaro, to move his country's embassy to Jerusalem, The Associated Press reported. Netanyahu, who is visiting Brazil, said on Sunday that it is only a matter of time until Brazil moves its embassy to Jerusalem.